Gary Blackburn began life at a coal camp in Spring Canyon, Carbon County, Utah in 1928, coming from a long line of ranchers, cowboys and pioneers who settled Utah. 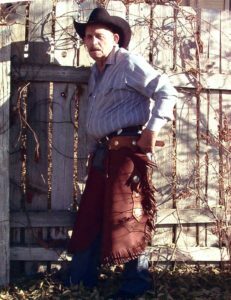 He began cowboying at a young age, often staying with cousins and uncles helping herd cattle and sheep in Carbon and Emery Counties. Gary rodeoed, riding saddle bronc, roping calves, even participated in potato races and barrel racing. In 1948, Gary married the love of his life, RaNae Swenson, and gave up riding the rough saddle broncs, but rodeoed for many years at community rodeos, roping calves and organizing events. During the early years of marriage, he worked in the coal mines and coke ovens in Carbon County, but in the spring of 1958 he moved his family to the Deseret land & livestock ranch in Woodruff, Utah. 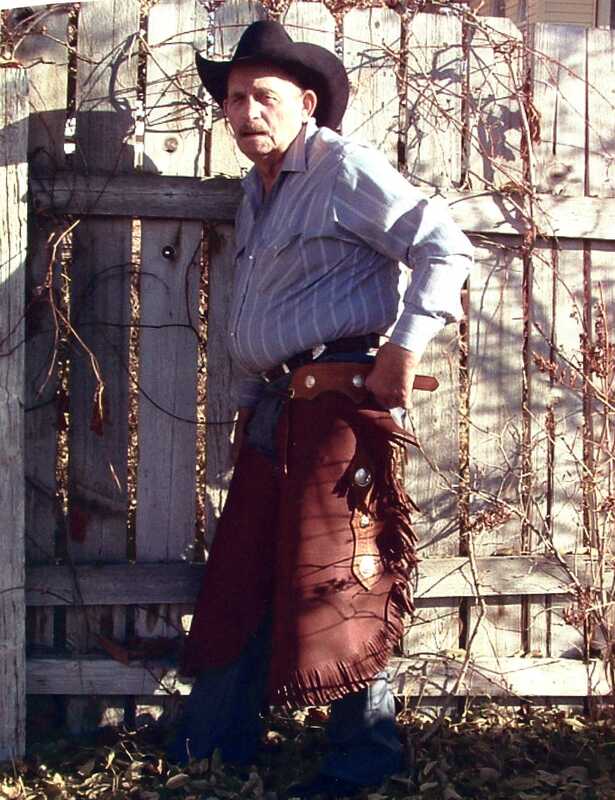 He was hired as a cowboy and then became ranch manager in 1970. At that time the Deseret Land & Livestock Ranch was one of the largest ranches in the entire United States. Two hundred thirty thousand acres in Rich County, plus fifteen thousand deeded acres in Skull Valley and four hundred thousand BLM acres. Four thousand head of cattle were on the ranch at this time as well as fifty thousand sheep which were run on the ranch, wintering in Skull Valley and at Pilot, Nevada. After he became ranch manager, Gary designed a major expansion and improvement of cattle-handling yards resulting in a very satisfying profit. In 1975. the Deseret Ranch was sold and by spring of 1976 he began working as manager for Skull Valley Ranch. The Skull Valley Ranch was thirty thousand acres with three thousand head of cattle and National Forest permits on the Stansbury Range. Gary retired from Skull Valley Company in 1993 to run his own cattle operation. In 2003 Gary sold his cattle as his wife had become increasingly disabled with aging dementia, so he became her full-time caregiver and they lived at their home in Grantsville, Utah. Gary’s leadership style also included compassion for others when they had hard times. He took out personal loans from the bank to help folks in need, opened his home for shelter and meals for folks down on their luck and needing a hand. Gary passed away December 3, 2014 at the age of eighty-six.